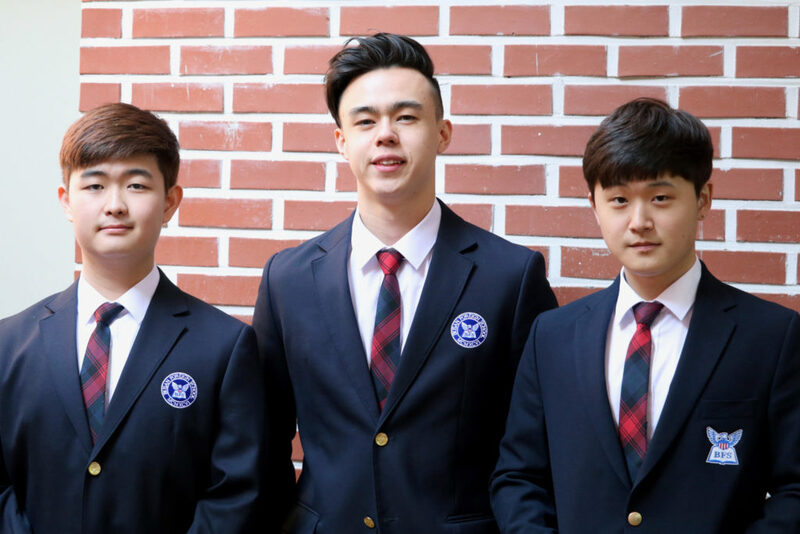 BFS has a school uniform, which reflects the style of smart/casual attire found in the United States. 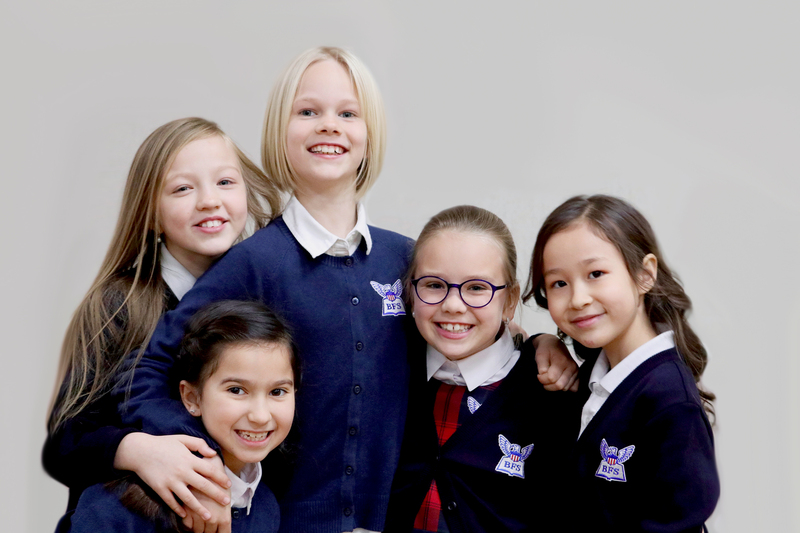 The BFS uniform allows students some choice and flexibility and ensures students are dressed neatly and appropriately when at school or on school-sponsored events. Official BFS school uniforms are to be worn Monday through Thursday. Friday (or the last day of a working week) is a casual day and students may choose to wear their uniform or appropriate casual clothing. The last day of school is also casual day. Students should not wear low necklines, spaghetti straps, nor halter-tops. Skirts or shorts should be longer than 2 inches above the knee. Approved indoor shoes are also required for grades PK-3 to K-5. The use of hats inside the school is not allowed. Students may not wear open-toed shoes or sandals, including Fridays. All Elementary students are also required to purchase P.E. attire to wear on P.E. days (including Fridays). 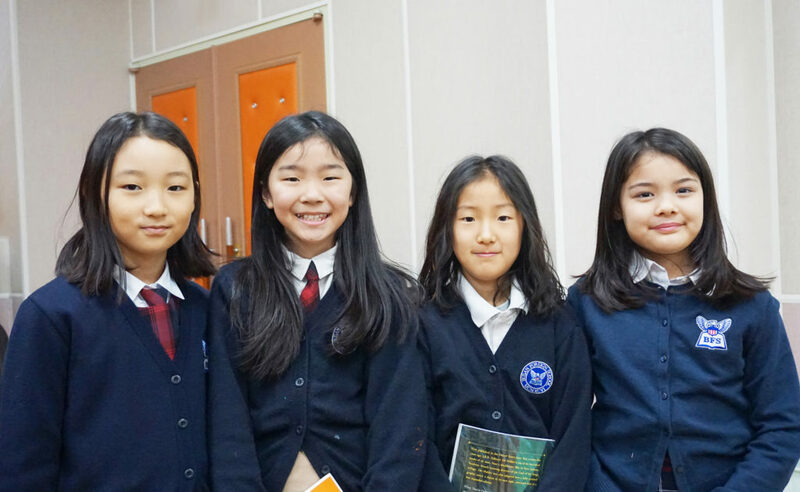 Middle and High School students enrolled in P.E. courses must purchase P.E. attire to wear during P.E. class only. Proper sports shoes that have laces and good ankle and arch support are also required for P.E. Our school policy for the next school year (2018-19 SY) is changing. Please check the published communication for details. Orders are made through the Land’s End website www.landsend.com. Upon first login you will need to create a user account. You will be able to select the school and save your child(rem) profile(s). This means that all items that are available according the uniform school policy will automatically appear. Orders need to be made by coming to the school on the published dates (every second Thursday of a given month between 14.00 and 16.00) or by calling Cheonghan FC directly on 053 255 8878 (Korean only). The PTSO has a 2nd hand shop that sells official supplier used items in good condition. Availability varies. If interested send an email to ptso@bfs.or.kr. Price is usually 5,000krw per item.